* Translucent when wet clear when dry. 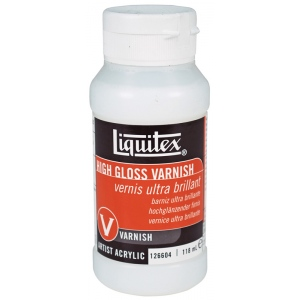 * 100% acrylic polymer varnish. * Water soluble when wet. * Good chemical and water resistance. 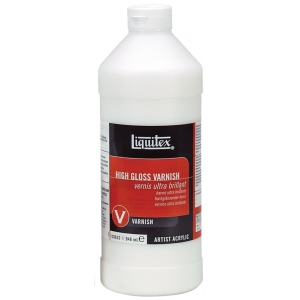 * Dry to a non-tacky hard flexible surface that is resistant to dirt retention. * Depending upon substrate allows moisture to pass through. 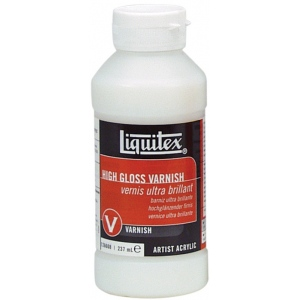 * Protects acrylic color from harsh elements. * Hard archival non-yellowing and water resistant when dry.